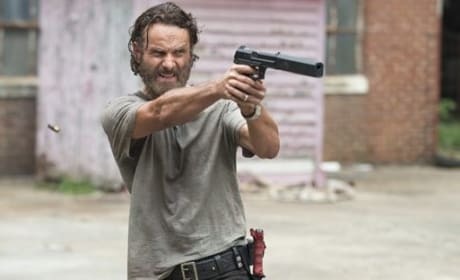 Rick takes aim in this photo from The Walking Dead Season 5. It is from the dramatic episode "Crossed." This is our first look at the The Walking Dead Season 5. 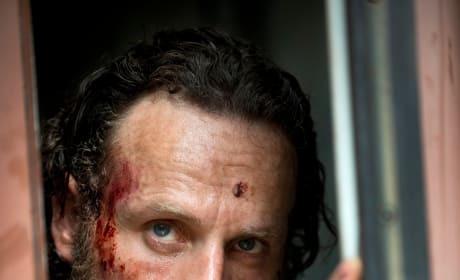 We can see you, Rick Grimes! He had one skill that kept him living. Are we supposed to be mad at him because he used it? Permalink: He had one skill that kept him living. Are we supposed to be mad at him because he used it? Get over yourself. You're not the only one who lost something today. Permalink: Get over yourself. You're not the only one who lost something today. 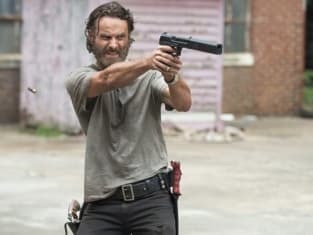 The Walking Dead Round Table: Who Will Die?